Isolation or containment of soil by proper mat placement and interior and exterior hard surface cleaning. The scheduled frequency for removal of dry soil. Attending to problems as soon as they arise. Scheduled cleaning to all heavy traffic areas. A thorough clean using hot water extraction steam cleaning. a. 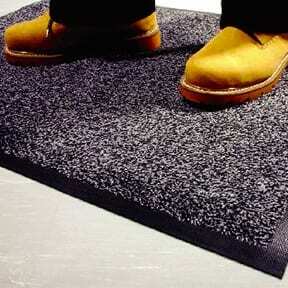 The use of mats – it is important to use both outdoor and indoor mats to keep dirt entering or spreading through the building. b. Keeping Parking lots, sidewalks and entrances clean – regular hard surface cleaning will cut down the tracking of debris. c. Replace air filters and inspect air ducts for build-up of contaminants. 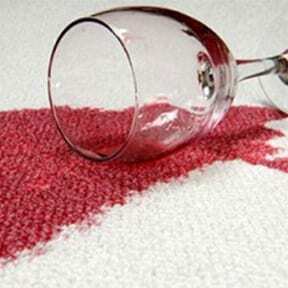 The longer that a spot or stain remains on the carpet, the greater the potential for permanent staining. Carpet Cleaning Kings recommends a timely response to ensure best results. Carpet Cleaning Kings uses hot water extraction steam cleaning when required to complete a deep clean of commercial carpet. 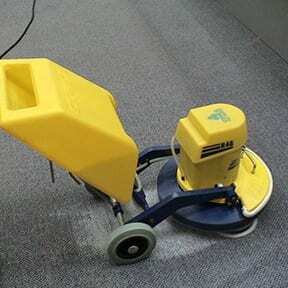 Deep cleaning is used to clean the carpet to a relatively clean condition and uses systems that extract soils and cleaning residues at a higher intensity to maximise results. Frequencies of deep cleaning depend on the effectiveness of maintenance, traffic intensity or manufacturers requirements. Hot water extraction steam cleaning is Carpet Cleaning Kings preferred method of cleaning and guarantees best results! One of the most beneficial features of deep cleaning is its capability of removing deep down soils. If you’re a commercial business and appreciate reliability, quality and understanding, Carpet Cleaning Kings is the place to call! 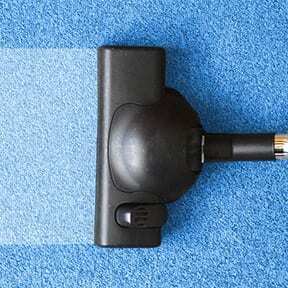 We’ll make light work of cleaning your carpet and leave it looking as good as new. Why not contact us today and speak to our experienced team on 1300 7000 75 to discuss a project or a regular maintenance program. We look forward to hearing from you! 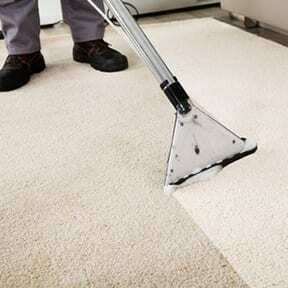 Carpet Cleaning Kings provide commercial and industrial carpet cleaning services across a wide range of environments. Such things include Hotels, Bars, Pubs, Schools, Gyms, Industrial Warehouse, Stadium, Theme Parks, Restaurants, Bowling Alleys, Universities, Offices, Hospitals, Retail Outlets, Church, Cinemas, Doctors Surgery, Clubs, Factories, Shopping Centres, Motels and much more.